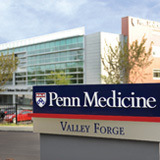 Dr. Derk is employed by Penn Medicine. Scleroderma and related diseases clinical outcomes, therapeutic interventions and disease pathogenesis. Systemic Lupus Erythematosus clinical outcomes. Morgan ND, Shah AA, Mayes MD, Domsic RT, Medsger TA, Steen VD, Varga J, Carns M, Ramos PS, Silver RM, SChiopu E, Khanna D, Hsu V, Gordon JK, Gladue H, Saketkoo LA, Criswell LA, Derk CT, TRojanowski MA, Shanmugam VK, Chung L, Valenzuela A, Jan R, Goldberg A, Remmers EF, Kastner DL, Wigley FM, Gourh P, Boin F: Clinical and serological features of systemic sclerosis in a multicenter African American cohort: Analysis of the genome research in African American scleroderma patients clinical database Medicine 96 (51): e8980,2017. Poudel DR, Jayakumar D, Danve A, Sehra ST, Derk CT: Determinants of mortality in systemic sclerosis: a focused review Rheumatol Int : 1-12,2017. Chung L, Fairchild RM, Furst DE, Li S, Alkassab F, Bolster MB, Csuka ME, Derk CT, Domsick RT, Fischer A, Frech T, Gomberg-Maitland M, Gordon JK, Hitchcliff M, Hsu V, Hummers LK, Khanna D, Medsger TA, Molitor JA, Preston IR, Schiopu E, Shapiro L, Hant F, Silver R, Simms R, Varga J, Steen VD, Zamanian RT: Utility of B-type natriuretic peptides in the assessment of patients with systemic sclerosis-associated pulmonary hypertension in the PHAROS registry Clin Exp Rheumatol 35 Suppl; 106 (4): 106-113,2017. A. Schorpion, M. Shenin, R. Neubauer, C.T. Derk: An open-label study of ambrisentan with anti-fibrotic agent combination therapy in the treatment of diffuse systemic sclerosis. EULAR : 2017. Grewal SK, DErk CT, Rosenbach M: Ulcers of the ventral aspect of fingers JAMA Dermatol 152 (10): 1157-58,2016. Sehra ST, Kelly A, Baker JF, Derk CT: Predictors of inpatient mortality in patients with systemic sclerosis: a case control study Clinical Rheumatology 35 (6): 1631-5,2016. Khanna D, Denton CP, Merkel PA, Krieg T, Le Brun FO, Marr A, Papadakis K, Pope J, Mattuci-Cerinic M, Furst DE, DUAL-1 investigators, DUAL-2 investigators: Effect of Macitentan on the development of new ischemic digital ulcers in Patients with Systemic Sclerosis: DUAL-1 and DUAL-2 randomized clinical trials. JAMA 315 (18): 1975-88,2016. Hinchcliff M, Khanna S, Hsu VM, Lee J, Almagor O, Chang RW, Steen V, Chung L, PHAROS investigators: Survival in systemic sclerosis-pulmonary arterial hypertension by serum autoantibody status in the Pulmonary Hypertension Assessment and Recognition of Outcomes in Scleroderma (PHAROS) Registry Seminar of Arthritis and Rheumatology 45 (3): 309-14,2015. Kelly, A; Derk CT: Anti-RNA polymerase III antibodies in Systemic Sclerosis Open Journal of Rheumatology and Autoimmune Diseases 5 : 81-86,2015. 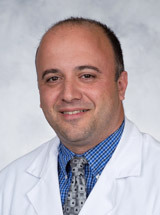 Abraham M, Derk CT: Anti-Ribosomal- P antibodies in lupus nephritis, neuropsychiatric lupus, lupus hepatitis and Chaga's disease: promising yet limited in clinical utility Rheumatol Int 35 (1): 27-33,2015.